Here is an opportunity to own a large home on two lots totaling 2.12 acres with the home on one + acre and the other 1+ acre lot you can enjoy the space or build another home or sell it - your choice! 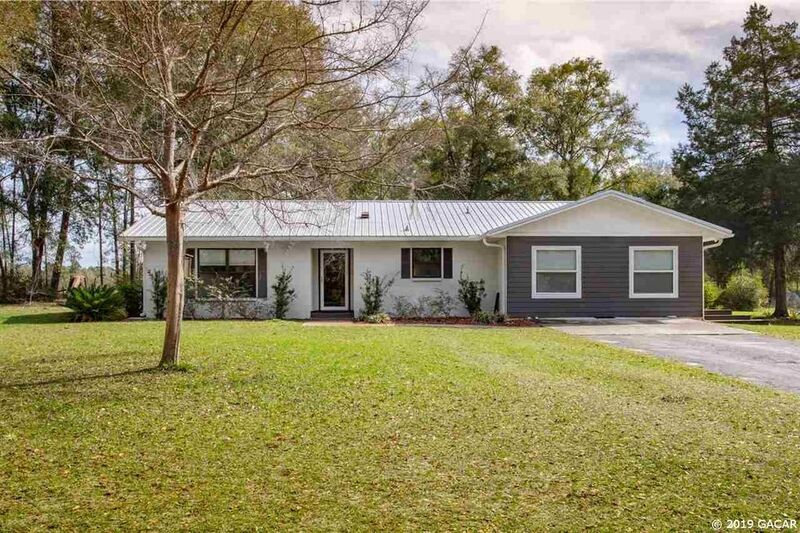 This 2047 SF sturdy block home has a metal roof, has been recently painted inside and out, both bathrooms have been renovated, has a great open floor plan, gorgeous hardwood floors, plus High Springs School zones! Outside you will love the 30' x 40' pole barn with full electric plus an enclosed shop and an office area, RV plug, a site-built storage building plus a sprinkler system for gardening. So much value to offer and loaded with comfort too! All this located just out of the High Springs city limits but minutes to downtown High Springs, Newberry or wherever you want to go! Purchase this home and live in a home you can love for many, many years!